“India is more than a land, it is an atmosphere,” says the famous author Ruskin Bond who, incidentally is also the author of “Tales and Legends from India”. In his introduction of this book, he mentions that this book is designed to give the reader the feel of India and recapture some of its old magic and this indeed is very true. Mr Bond brings back the memories of those late night grandma stories and the magic they had on us. “Tales and Legends from India” is divided into three sections – Tales from the Epics, Tales from the Jataka and Regional Tales and Legends. All the sections have between five to twelve stories in them. The book is a rather short read and can be done in a matter of 2 hours. It is all of 153 pages. What I liked about the book was the kind of passion which has gone into its writing. 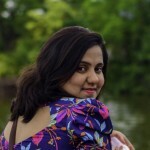 The book is an ideal read for children and adults equally as it helps connects Indians to their roots. I think it is imperative that such books should be made available to all children to read as they serve two purposes simultaneously. Firstly, they help to revisit the age-old legends and tales and refresh our memories of them, secondly, they also help impart lessons of great value and virtues. The amount of wisdom that a child can gain from this kind of stories is immense. I liked and enjoyed all the three sections though I particularly enjoyed the “Tales from the Epics” because, being a Hindu, I was mostly updated on stories from the epics. On the other hand, “Tales from the Jataka” come from Buddhism and bring with them the values and sagacity of this ancient religion. “Regional Tales and Legends” were also an interesting lot to read. 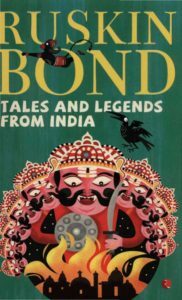 I was pleasantly surprised to see the research that Ruskin Bond has put into “Tales and Legends from India”. At the end of the book, the notes section tells us everything about the myths and legends and the background of these stories. Anybody who wishes to know more about them will come out an informed person by reading these notes. Thus, my take on the book is that it is a really good read for adults and children equally and therefore it comes as a much-recommended read from me.